I love our Jumbo Batt Carder made by Patrick Green. We happened across it about 13 years ago and it is quite a work horse! The batts measure approximately 18 inches x 36 inches. It's versatility is awesome for carding our Crazy Quilt Batts for bulky yarns OR send the batts through twice and ooh la la- smooth spinning for any type of yarn. 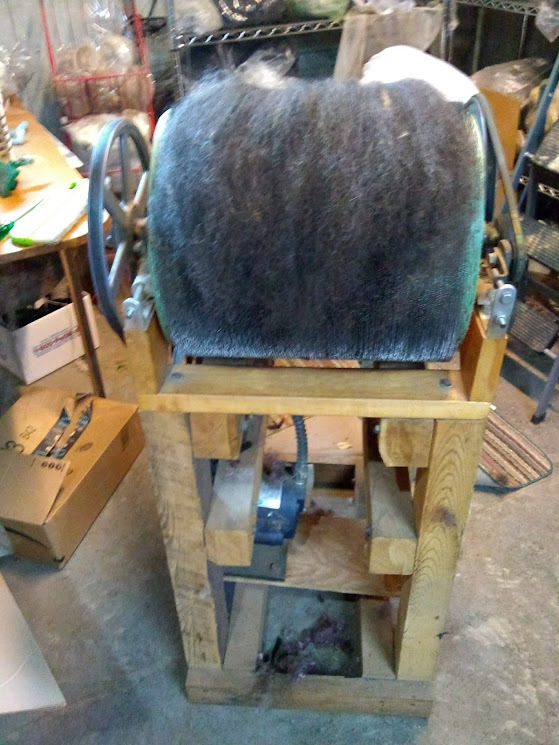 The following photos show our Pirate's Cotswold/Bluefaced Leicester cross wool, run through twice for a very smooth, silky and shiny batt!